This publication provides up-to-date analysis of case law, legislation and policy developments relating to the law of industrial action in South Africa. One of the greatest challenges facing South African labour relations is unprocedural and often violent industrial conflicts. 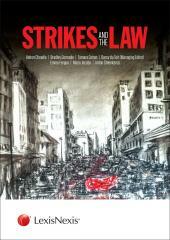 Strikes and the law covers an analysis of the legislation and the case law and considers the reasons why in many cases, the law is disregarded. The Labour relations Amendment Bill, 2017 which was published in 17 November 2017 states that the root cause for protracted and often violent industrial action is a misalignment between the law on strikes and action taken by parties during industrial action. The authors consider this misalignment and suggest possible solutions. 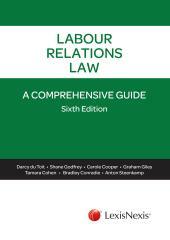 This is a critical read for labour law practitioners, HR/IR managers, trade unions and academics. 2.2 - Strike statistics: what can we learn? 3.7 - Are the current strike provisions effective? 3.9 - What is the way forward? 6.6 - Can a protected strike become unprotected?